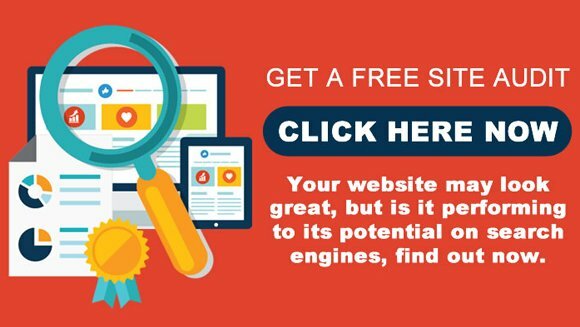 Get a comprehensive website audit today absolutely free. Content: the information on the site has to be relevant. This includes text, title, images, and descriptions that are given. Performance: the site has to meet standard performance benchmarks, including page load time, time to first byte, page size and total image content. The site also has to function properly. Any error codes or a break in the site will also affect ranking. Authority: Your site should have relevant content to link to, or have other related sites refer to your website as a reference. User Experience: How your site appears to end users is vital. Navigation, endorsements, and testimonials can help users gain trust in your site. Search engines have two major functions: crawling and building an index, and providing search users with a ranked list of the websites they’ve determined are the most relevant. When a user performs a search using a keyword or keyword phrase, Google searches through their index and displays links to pages that it considers relevant and authoritative. Authority is primarily measured by algorithms and the quality of links from other web pages. These results are displayed in order of ranking. It is optimal for a company to be displayed near the top of the first resulting page of a search, as users will traditionally take action on those links. Please complete the form below, and we will get back to you in as little as 24 hours.